1 of 2 Bring a pot of salted water to a boil. Add beans; return to a boil and cook 3 to 4 minutes, until crisp-tender. Drain beans and run under cold water until cool. Set aside. 2 of 2 In a large bowl, whisk together oil, vinegar, mustard, salt and pepper. Stir in shallots. 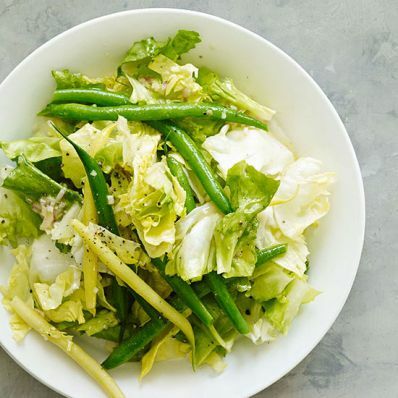 Toss dressing with beans and escarole.